Lancashire coach Glen Chapple’s message is clear ahead of 2019. Last season’s surprise relegation in the County Championship hurt everybody at Old Trafford. 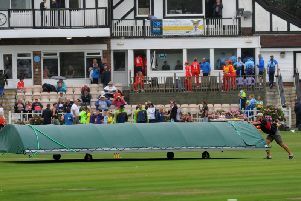 It was made an even more bitter pill to swallow that they went down level on points with Nottinghamshire having won fewer games and been docked a point due to a slow over-rate in a home defeat against Yorkshire. It means that while limited overs silverware is also a target, the be all and end all is for the Red Rose to be playing Division One cricket again in 2020. Lancashire are no strangers to Division Two having won promotion in both 2013 and 2015, so Chapple knows what it takes to achieve that goal. “Losing a point on over-rate was disappointing and going down on the same points was difficult to take,” he said. “We’re a big club and every time we’ve been down we’ve managed to go back up. Lancashire’s disappointment came after a poor year for the batsmen. Seamers Tom Bailey and Graham Onions claimed 64 and 57 wickets respectively, with the former the leading wicket-taker in Division One. But no batsman reached 800 runs with new captain Dane Vilas the best with 792. He has replaced Liam Livingstone who stepped down earlier in the winter to concentrate on his form. Livingstone, however, will miss the start of the season while he plays for Rajasthan Royals in the Indian Premier League. 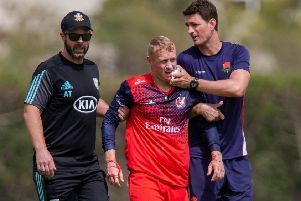 “Last season was extremely challenging for batsmen - seamer friendly to begin with and then the pitches never flattened,” said Chapple, currently in Dubai on the club’s pre-season tour. Lancashire start their summer proper with a trip to Lord’s, beginning on April 11, to face a Middlesex side who also promise to be challengers. It will be an early reunion with Red Rose favourite Stuart Law, who has taken over as the new coach of Middlesex. Jimmy Anderson will play in that game, as will Australian Glenn Maxwell, who will also be available to start the Royal London One-Day Cup midway through next month. Fellow Aussie Joe Burns, the current Test opener, will begin his pre-Ashes spell with the county in May when Maxwell departs for World Cup duty. Lancashire warm up with a three-day University friendly against Loughborough at Haslegrave from April 5.